Every Sunday afternoon when I was with my mom, if I didn’t have a school project I didn’t have to work on, we would make hot chocolate, bake cookies, bring the afghans out and watch Lifestyles of the Rich and Famous. Every week the host Robin Leach went somewhere exotic to show how the rich lived. Be it Dottie West’s house outside Nashville, visiting his native England with soap stars Tristan Rodgers and Emma Samms, or looking at Liberace’s six houses and countless rings and pianos, everything on Lifestyles was beautiful and glamorous, shiny and pretty. Leach usually showed people working, because let’s face it: people didn’t get rich and famous just hanging out and eating cookies. They were making records that went to number one, filming surefire blockbuster movies, starring in hit TV shows, or writing big fat best-selling paperbacks. And they wore Rolexes and big bold jewelry. James Galanos, Bill Blass, and Oscar de la Renta were on their speed-dials. Nancy Reagan sometimes called them to go to state dinners at the White House. They ate at Ma Maison or Wolfgang Puck’s. They called each other to see who was invited to Caroline Kennedy’s wedding. They lived in big mansions surrounded by moats and exotic birds in their yards. I wanted to be one of those people. I wanted it so bad. It seemed Robin Leach knew all of them and was one of them. Every week he ended each show wishing his viewers “champagne wishes and caviar dreams” like he had firsthand experience with both. Of course, Leach was one of those people that were living the dream, thanks to hard work. The London-born Leach started working as a reporter at age fifteen, then never looked back. He did the British tabloids for a while, but he knew if he was going to make it, he had to cross the pond and get to America. So he worked on several morning programs, then on CNN and Entertainment Tonight when they were just starting out. He was known for his trademark booming British voice, which was famously parodied by Dana Carvey on Saturday Night Live. 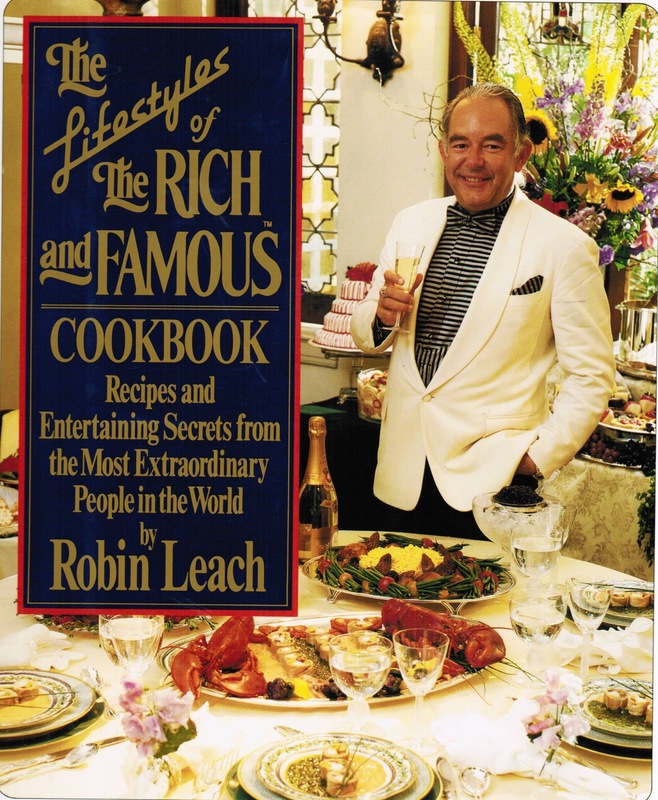 Robin Leach was as much a part of the ’80s as Ronald Reagan, Bon Jovi, mullets, and Cabbage Patch Dolls. Soon the Rolexes became too gaudy, the shoulder pads too bulky. And because Reagan’s trickle down economics wasn’t really trickling down at all, having wealth flaunted in front of those who didn’t have any became distasteful. Not everyone could afford designer suits or get an invite to a Kennedy wedding. There was nothing wrong with having lots of money, but most people didn’t and it all started to just feel wrong. And yet, Leach kept working, mostly as a guest on documentaries spotlighting the seventies and eighties. He moved to Las Vegas and wrote for The Las Vegas Sun, then the Las Vegas Review-Journal for a year. He had a stroke in 2017 in Cabo San Lucas and his death today (8/24) was due to complications from it. When news of his death was reported this morning, the rest of the day I kept on thinking of those Sunday afternoons, eating chocolate chip cookies and listening to his familiar voice.